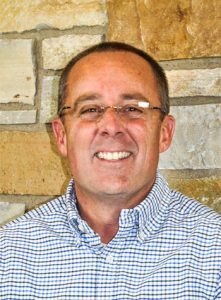 Matt has been a PGA Head Professional at Rose Creek and Prairiewood Golf Courses since 2005 and has worked in the golf industry since 1986. He grew up in Moorhead, MN and completed his college education at Concordia College and Minnesota State University Moorhead. Matt has served on the Dakota Chapter PGA Board of Directors since 1998 and currently serves as Past-President and has been a PGA Member since 2002. He has received three Dakota Chapter PGA awards including Golf Professional of the Year in 2005 and 2012 as well as Teacher of the Year in 2007. Matt is married to wife Sheri and they have four children. Eric Hansen is the Golf Superintendent for Rose Creek and Prariewood golf courses. Eric has worked for the Fargo Park District since 1985. 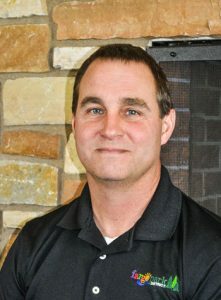 Eric began working full time at Prairiewood and then moved to Rose Creek as an Assistant Superintendent. Eric grew up in Fargo. He now lives with his wife and two children. When Eric is not busy working at the golf courses, he enjoys hiking, hunting and camping in the winter. Eric loves dog sledding and owns 18 sled dogs.